Swissôtel Resort Sochi Kamelia is a gorgeous luxury beachfront resort located within walking distance to the main city attractions and just 30 min drive from Sochi International Airport. All of our 203 guest rooms with spacious balconies, including 12 suites and 8 duplex suites, blend elegant simplicity with contemporary design. 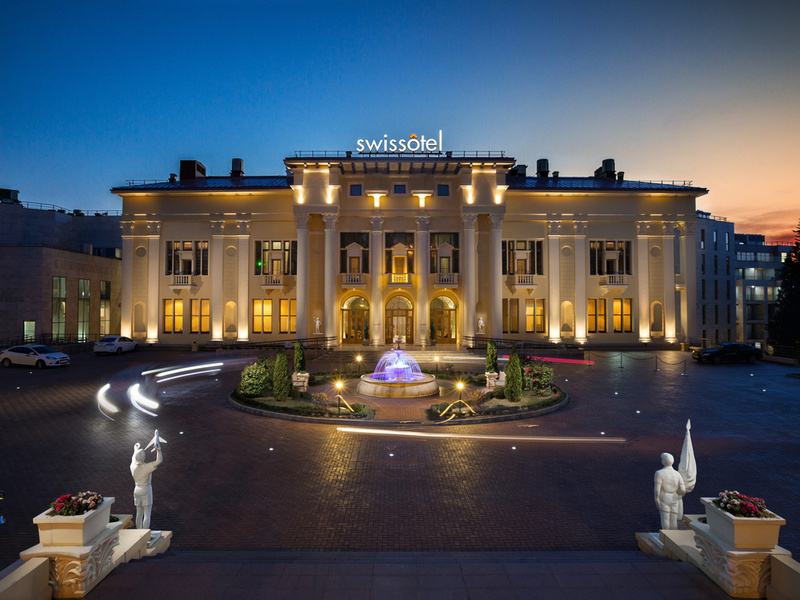 Swissôtel Resort Sochi Kamelia offers its guests 203 rooms, including 19 suites, 8 of which are duplexes located in the central historical building. Rooms are filled with natural daylight, designed with quiet colors, high technology and comfort. Brand new format of the Rivage restaurant : wood oven and char grill, a great variety of seafood. Mediterranean concept with local specialties from our Chef would be accompanied by a selection of sophisticated wines. Kamelia Café offers a variety of international dishes, local seasonal fruits and vegetables. A unique LIVE Kitchen concept of the restaurant creates its special nice ambiance. An open sea view terrace is a perfect place to enjoy a beautiful sunset. Enjoy our Lobby Bar comfortable and welcoming atmosphere in the historical heart of the Hotel, try our signature cocktails on the spacious terrace with a spectacular sunset view. Swiss Gourmet brings the highest Swiss quality and the best of Russian pastry traditions together: Swiss chocolate, signature cakes, desserts in glasses, homemade sweets and legendary desserts of the Soviet time. Take your time next to the pool as long as you wish to, enjoy a wonderful summer holiday in the open air with a stunning view of the Black Sea and treat yourself with light snacks and fresh summer drinks. Holidays at the seaside start on the beach. Everything you need for wonderful vacation is in Phoenix Bar, where all the guests can take a break from the sun during the day and enjoy the Black Sea sunset and south views.